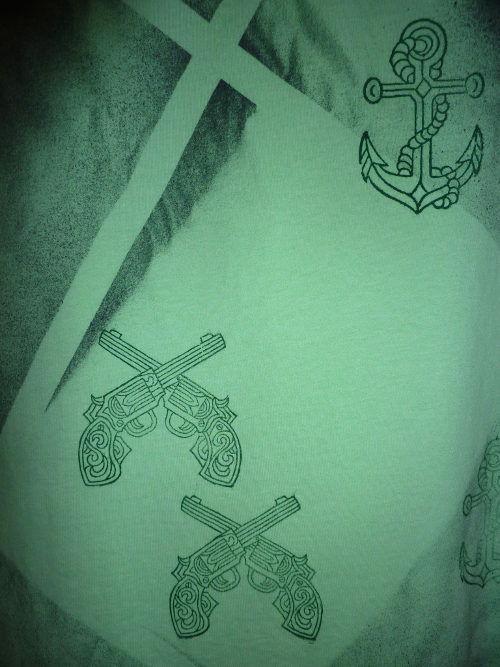 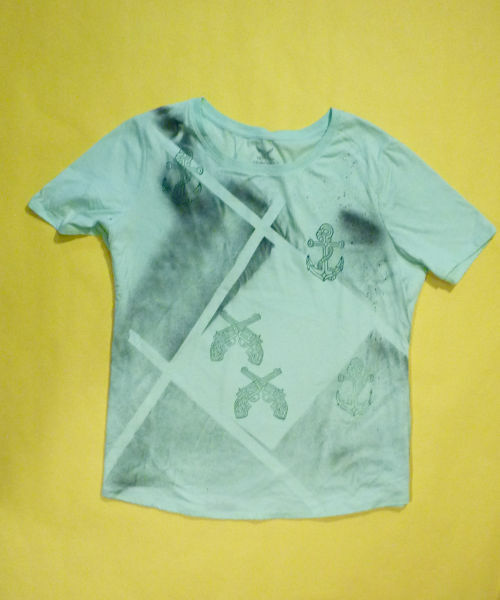 Categories: Shirts, REBEL IDEA - Skulls, Pistols and Defiance, New Arrivals, Womens Shirts. 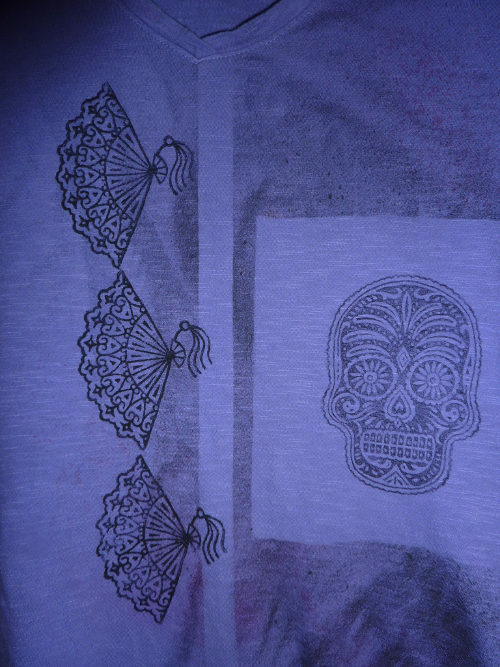 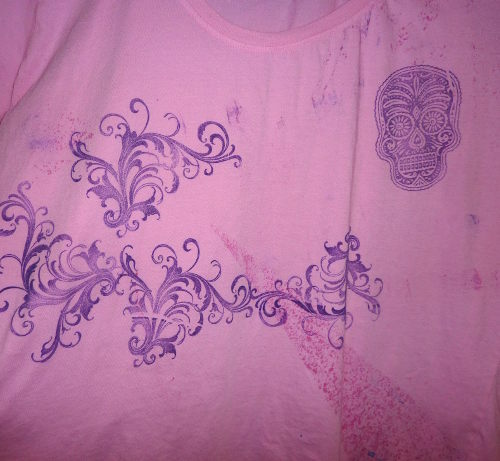 Tags: Block Printed, Boho chic, cool skull shirt, Cute, DIY fashion, Dyes, Hand Stamped, Handpainted, hippie, ladies sugar skull, Mandala, OOAK, Shop Small, skull mandala shirt, Sugar Skull, Tattoo, Vines, Yoga. 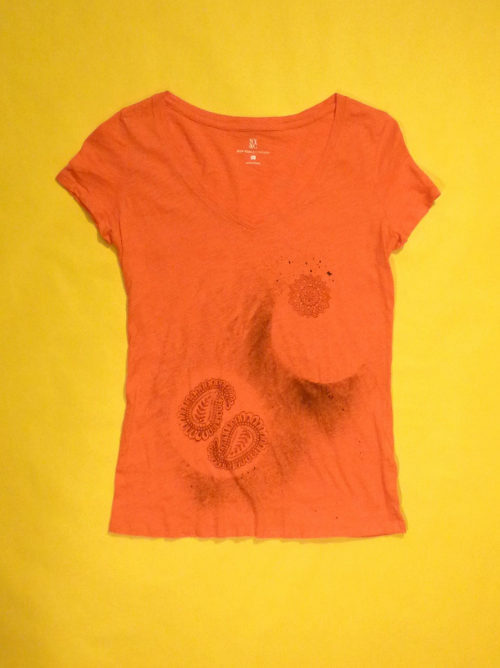 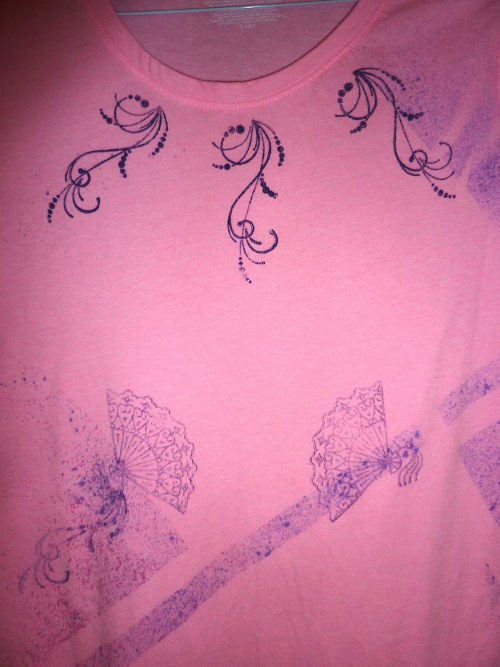 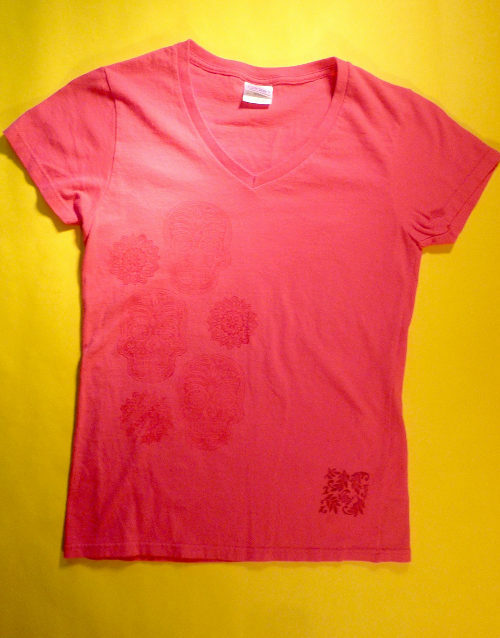 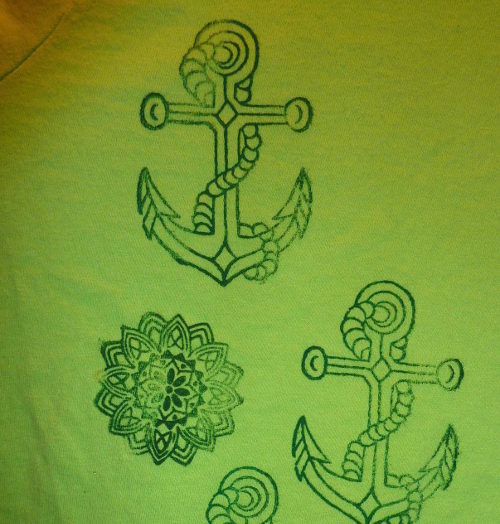 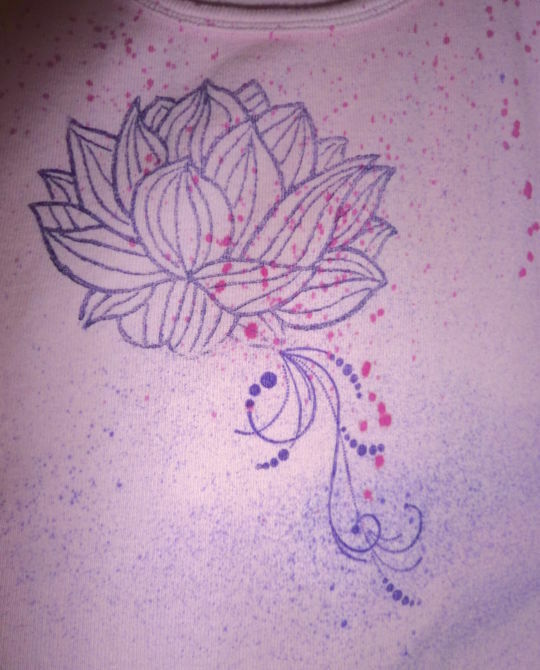 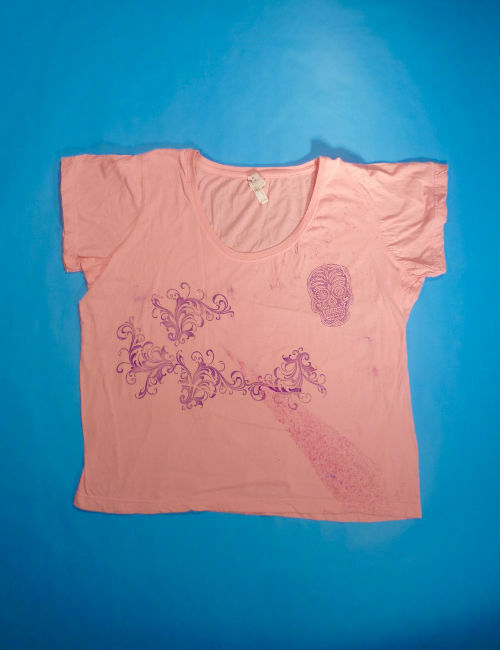 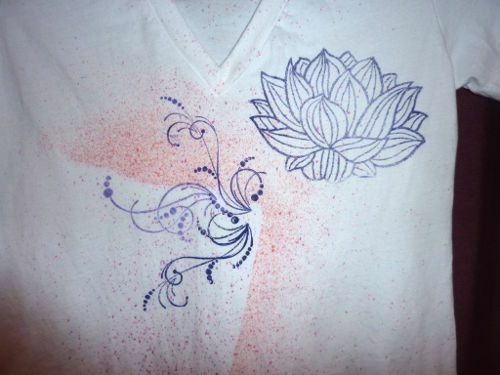 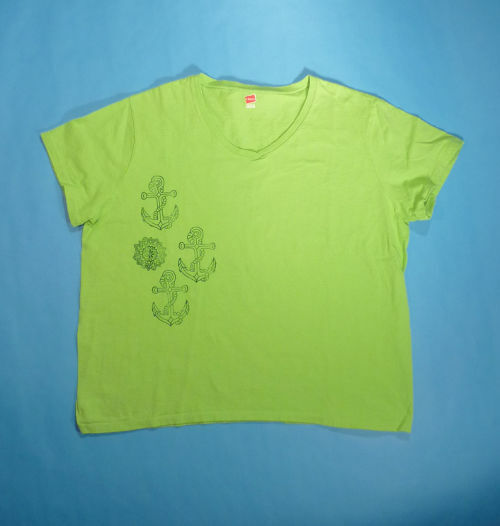 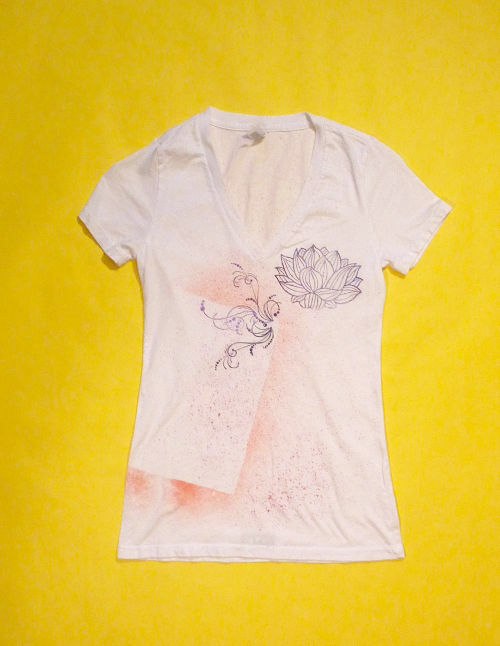 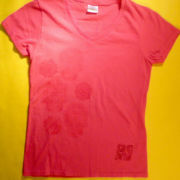 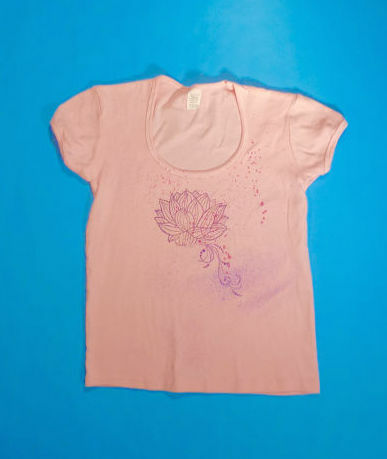 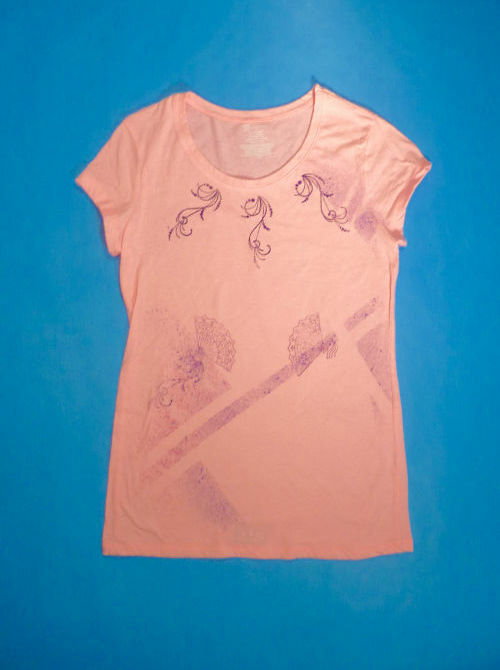 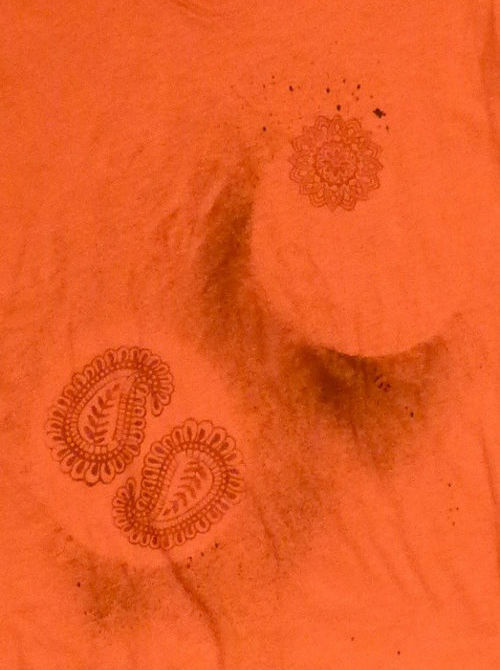 This is a really nice, subtle shirt, hot pink Ladies SMALL V-Neck, Gildan brand, has woodblock printed MANDALA (3), SKULL (3) and VINE (1) images. 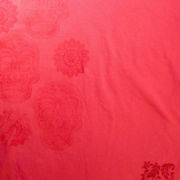 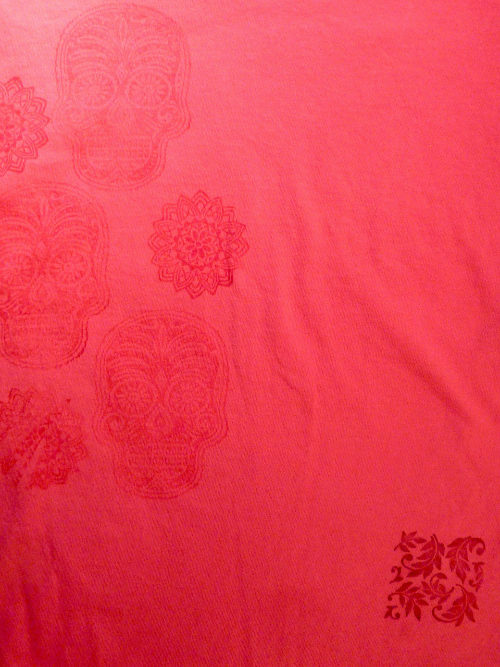 The MANDALA and SKULL designs are red on the hot pink so they are not super bold. 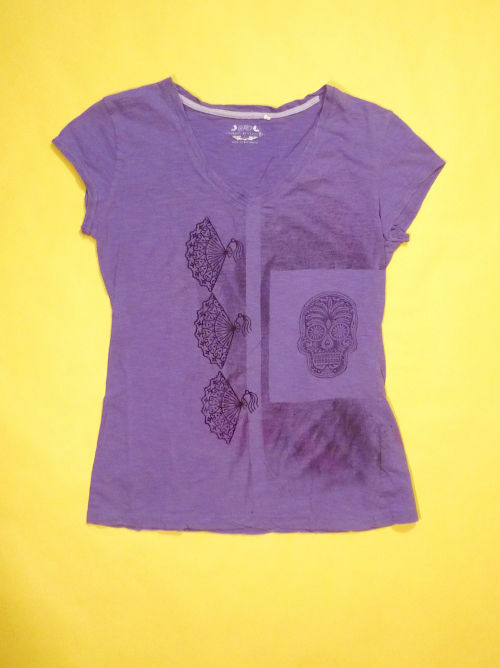 the VINE block is on the hip in grey, so it stands out like a cool accent.